Today, Fairmount Park is considered one of the largest urban park systems in the world, comprising more than 9,000 acres of parkland punctuated by masterpieces of art, architecture, and engineering. William Penn is said to have exclaimed, “What a Faire Mount!” when he gazed from the elevated plateau where the Philadelphia Museum of Art now stands. Throughout Fairmount Park’s 200+ year history, the Fairmount Park Art Association (now the Association for Public Art) played a key role in working alongside a variety of people and organizations to transform this space and punctuate it with art and architecture for all Philadelphians and visitors to enjoy. These dedicated patrons created Fairmount Park, now considered to be one of the largest urban parks in the world. The Fairmount Water Works and the landscaped Fairmount Gardens formed the original hub of the park system, while private initiatives created the historic mansions that still line the banks of the Schuylkill River. Lemon Hill, the first river-side estate, was built in 1795 by Robert Morris, the financier of the American Revolution. Henry Platt, the next owner of the property, replaced the original home with a more elaborate one, and his gardens became known as “the Versailles of America.” Following the 1854 Consolidation Act, the new city Councils passed an ordinance in 1855 to make this 45-acre site a public common for the welfare and enjoyment of the people. Throughout the next decade, land was acquired incrementally on both banks of the Schuylkill, and after the Civil War the public holdings were expanded to include the wooded land of the northwest Wissahickon Valley. Fairmount Park was officially created in 1867 when an act of the General Assembly of Pennsylvania authorized the city to provide “Fairmount Park to be laid out and maintained forever as an open public place and a park for the health and enjoyment of the people of said city, and the preservation of the purity of the city’s water supply.” Philadelphia’s former Fairmount Park Commission was established later that year. 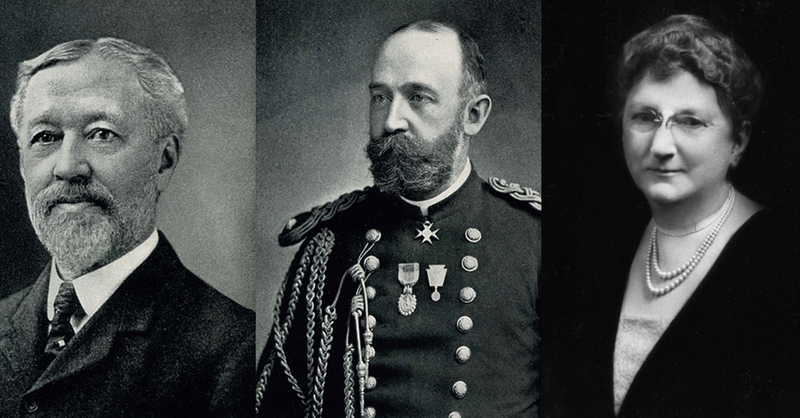 Mayor Morton McMichael became the Fairmount Park Commission’s first president and Major General George Gordon Meade became one of the first commissioners. Together with the other commissioners, they proceeded to acquire more property, designate drives and walkways, and landscape the park grounds. In 1871, amid the expansionist activities of the Fairmount Park Commission and the excitement aroused by the conformation of Philadelphia as the site for the 1876 Centennial fair, the Fairmount Park Art Association (now the Association for Public Art, aPA) was conceived. Two young men – Charles H. Howell, a public-spirited member of the First City Troop, and Henry K. Fox, the son of Mayor Daniel M. Fox – persuaded 13 others to act as temporary officers and trustees. Anthony J. Drexel (Drexel University) was elected as the first president, and over 200 members subscribed by the end of the year in the belief that noble and uplifting works of art would counter the effects of the machine age. The trustees who piloted the venture were people from all walks of life: immigrant and native-born, merchants, entrepreneurs, and lawyers. They believed that placing works of art in public spaces would enable people of all classes to share equally in a public trust. Henry Fox (left) and Charles Howell (center) were founders of the Fairmount Park Art Association (now the Association for Public Art), chartered in 1872; Ellen Phillips Samuel (right) was a philanthropist who bequeathed her estate to the Fairmount Park Art Association. Photos © Fairmount Park Art Association/Association for Public Art. The Fairmount Park Art Association became the beneficiary to public-spirited Ellen Phillips Samuel’s residuary estate following her death in 1913. Although she could not serve on the all-male Board, Samuel was an active member of the Association, and her bequeath was said to be one of the largest bequests of its kind in the country at the time. 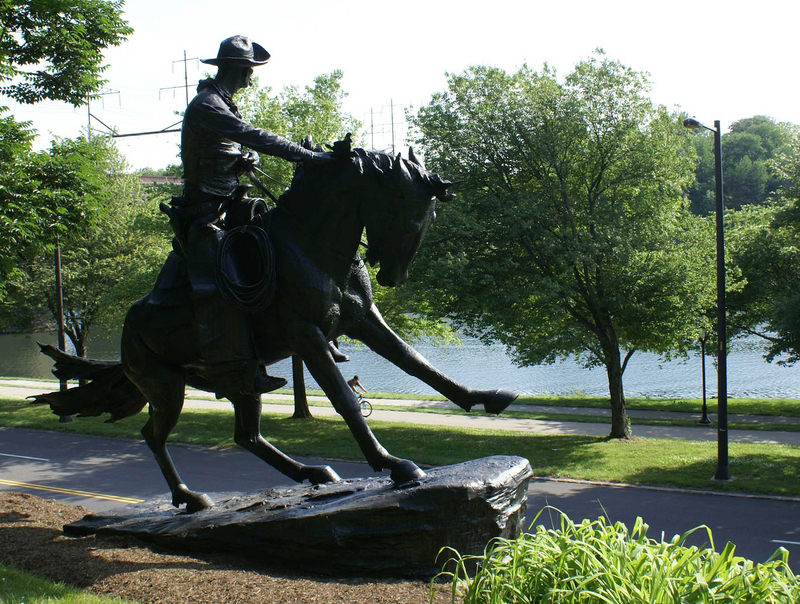 Samuel asked that the Association create a series of sculptural monuments in Fairmount Park that were “emblematic of the history of America,” which became the Ellen Phillips Samuel Memorial (1933-1961) on Kelly Drive. To identify sculptors, the Association organized three international exhibitions at the Philadelphia Museum of Art – in 1933, 1940, and 1949 – which brought together the works of hundreds of sculptors from the U.S. and abroad, and contributed to the general awareness of contemporary sculpture throughout Philadelphia. Edward Kemey’s Hudson Bay Wolves (1872), the first purchase of the Association. Today the sculpture can be seen at the Philadelphia Zoo. You have a private art collection and it is your own. You have lovely adornments for your house; they are your own… But have you ever thought of the countless millions of children yet unborn, who in the hot days of summer will stand around the fountain in Logan Square and hear the splashing waters and feel their little souls refreshed by the psychological effect of falling water? Early actions of the Association included the acquisition of Edward Stauch’s Night (1872), the commissioning of Edward Kemeys’ Hudson Bay Wolves (1872), and the purchase of Wilhelm Wolff’s The Dying Lioness (1873). 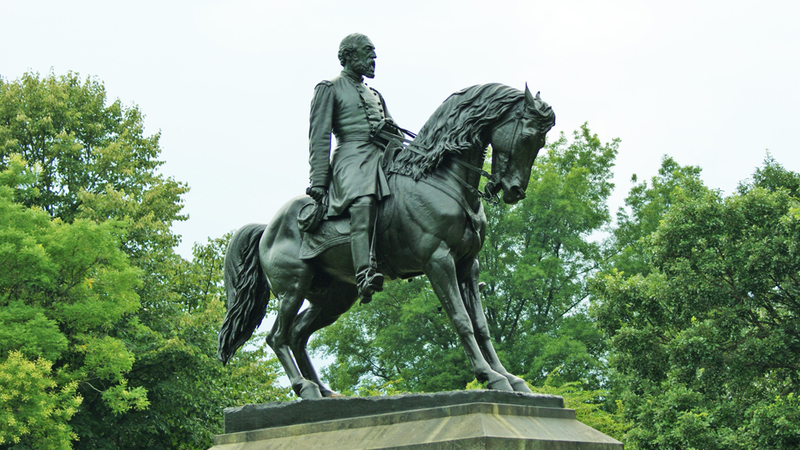 The Association continued to commission and acquire sculptures for Fairmount Park, including John J. Boyle’s Stone Age in America (1887); Augustus Saint-Gaudens’ James A. Garfield Monument (1895); Daniel Chester French’s General Ulysses S. Grant (1897); the Smith Memorial Arch (1897-1912); Cyrus Dallin’s The Medicine Man (1899); Alexander Stirling Calder’s Sundial (1903); and Frederic Remington’s Cowboy (1908), among others. This early work of the Association was characterized by civic participation, tenacity, and a high regard for artists and their creative processes. Today, the Association for Public Art continues to work to achieve the goals set forth in our charter in 1872 through contributions to Fairmount Park and the city of Philadelphia for the enjoyment of Philadelphians and all who visit our city. Our most recent efforts to carry out our mission to commission, preserve, interpret, and promote public art has resulted in projects including Big Bling by Martin Puryear, Cai Guo-Qiang: Fireflies by Cai Guo-Qiang, and Winter Fountains by Jennifer Steinkamp, as well as the annual conservation of over 30 public artworks. The Smith Memorial Arch was initiated by Richard Smith, a wealthy Philadelphian who bequeathed a half million dollars to build a monument to Pennsylvania’s naval and military heroes of the Civil War. An Art Nouveau-style bronze sundial atop a sculpted limestone base representing the four seasons. Spring holds a rose; Summer carries poppies; Autumn wears grapes in her hair; and Winter has a pine branch. 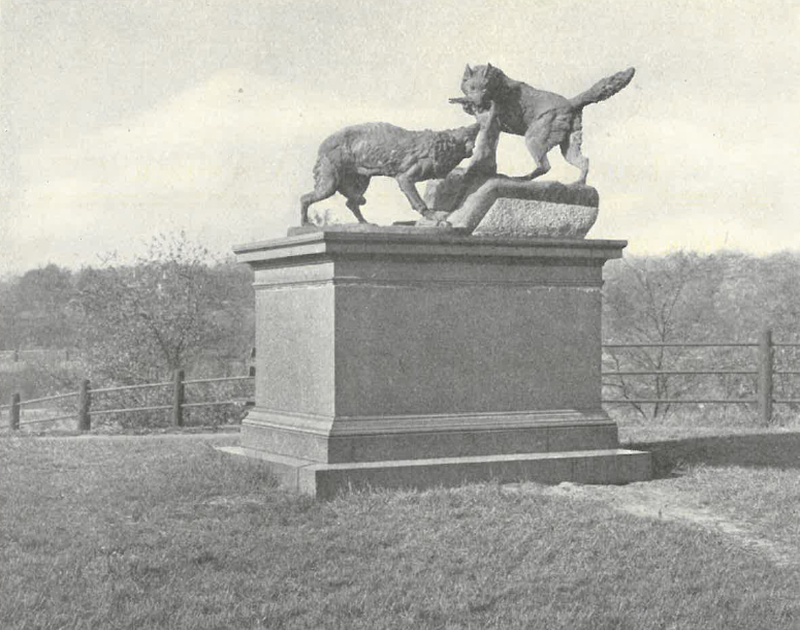 Of the many sculptures at the Philadelphia Zoo, The Dying Lioness is one of the best known. 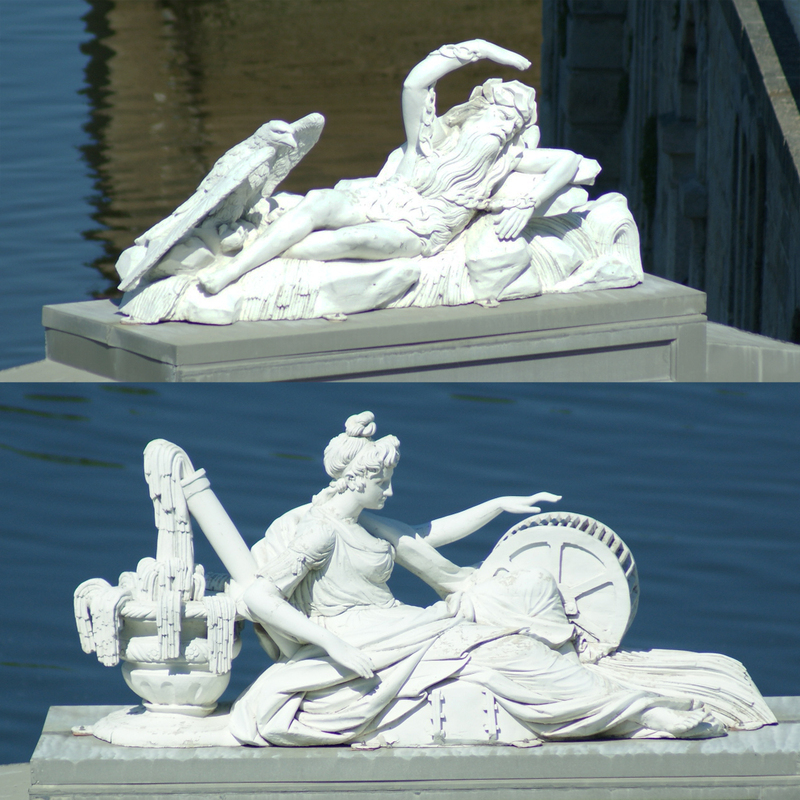 The model for the sculpture won first prize at the Vienna International Exhibition in 1873. Just four days after the death of General Grant in 1885, the Fairmount Park Art Association (now the Association for Public Art) formed a committee to create a fund for erecting an appropriate memorial. The Association for Public Art established and maintains the Ellen Phillips Samuel Memorial. The Memorial includes three terraces and seventeen sculptures that were commissioned over a period of thirty years. 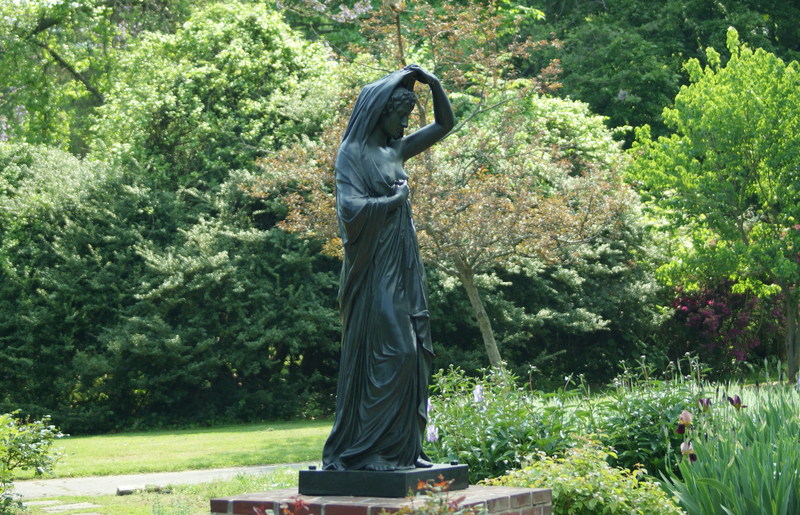 The Fairmount Park Art Association (now the Association for Public Art) commissioned John J. Boyle to create a Native American sculpture for Fairmount Park. At its current site, Stone Age in America takes its place with other sculptures “emblematic” of American history.